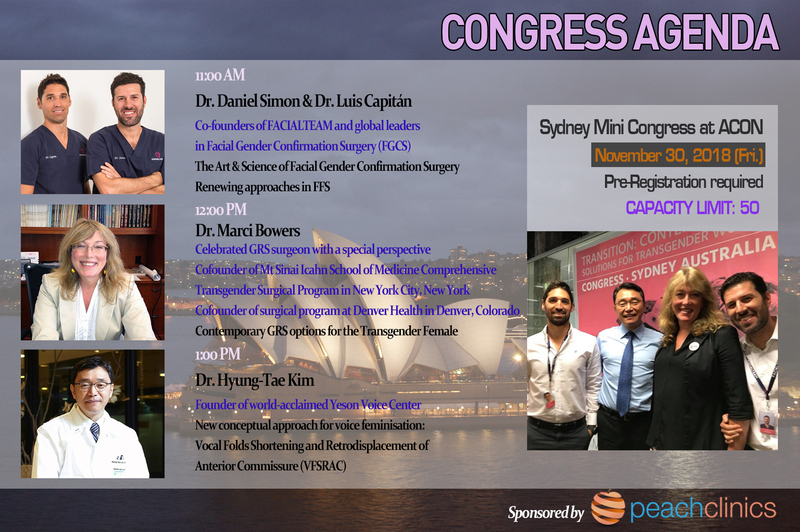 Feminisation orientations and mini-congress in Australia 2018 will be held on Nov 28 th in Melbourne and on Nov 30 th ~Dec 1 st in Sydney. Everyone interested in FFS, GRS and VFSRAC surgery is all welcome to meet FACIALTEAM, Dr. Marci and YESON VOICE CENTER. This is the 3 rd conference that these three top specialists leading the FFS, GRS and VFS reunite to take the transgender health initiative and to discuss the ways they can collaborate to provide the best feminization care to the trans health group. 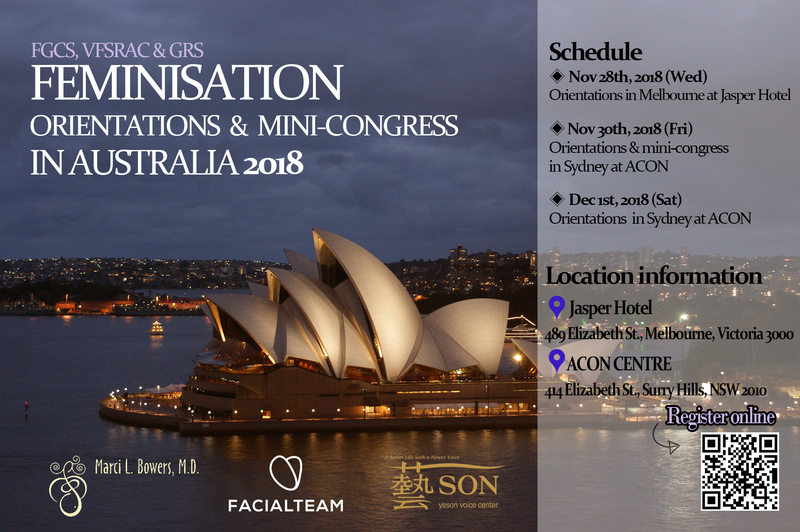 We encourage you to make an appointment to get the chance of a private consultation with each doctor and get information on FFS, GRS and VFS simultaneously by registering for the mini conference. For more information and online registration, please click the link below.